Like few other transactions, life insurance policies are literally lifetime commitments for both the insurance company and the policy holder. With all of the uncertainty surrounding the future of every client, underwriters need all of the information they can get to mitigate risk and ensure proper coverage. While medical records are, perhaps, the most valuable asset for mitigating risk, obtaining protected health information (PHI) is complicated.ChartRequest simplifies this process, providing medical record retrieval services for life insurance companies. With our online platform, your team can easily—and compliantly—request health data while lowering administrative expenses. Shorten the time it takes to underwrite policies with our streamlined workflows. 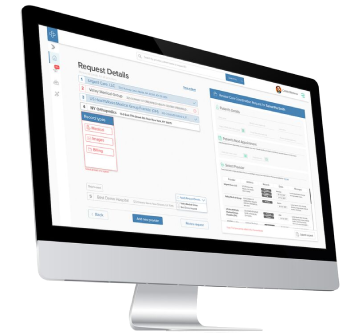 ChartRequest consolidates release of information transactions in a single platform, sending and fulfilling record requests in record time. With our HIPAA-compliant platform, you’ll shorten turnarounds while getting the information you need to mitigate risk and improve policy determination models. 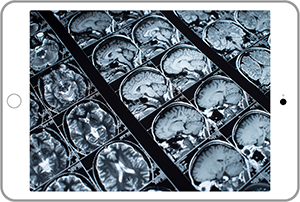 Receiving timely responses from healthcare providers is critical for your organization. 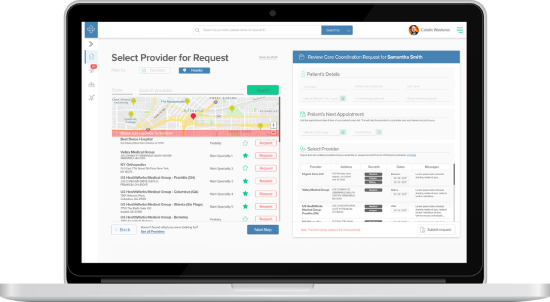 ChartRequest provides the visibility you need to hold healthcare providers accountable. 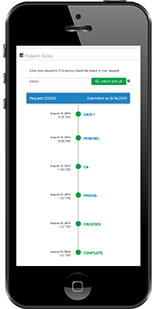 Our record retrieval services allow you to monitor provider fulfillment—no phone calls or emails needed. From our online platform, you can easily view where records are located in the information exchange process. You can also sign up for automated alerts for any request. Provider delays, frequent follow-up calls, and mispriced records can take a bite out of your budget. With ChartRequest, you’ll lower the unnecessary expenses typically incurred when retrieving medical records. Between online tracking and efficient workflows, you’ll reduce the time your team spends in administrative tasks. And, with ChartRequest’s compliant pricing algorithms, you’ll prevent overpaying for records.